Jaap Heinsius officially Load securing Specialist! 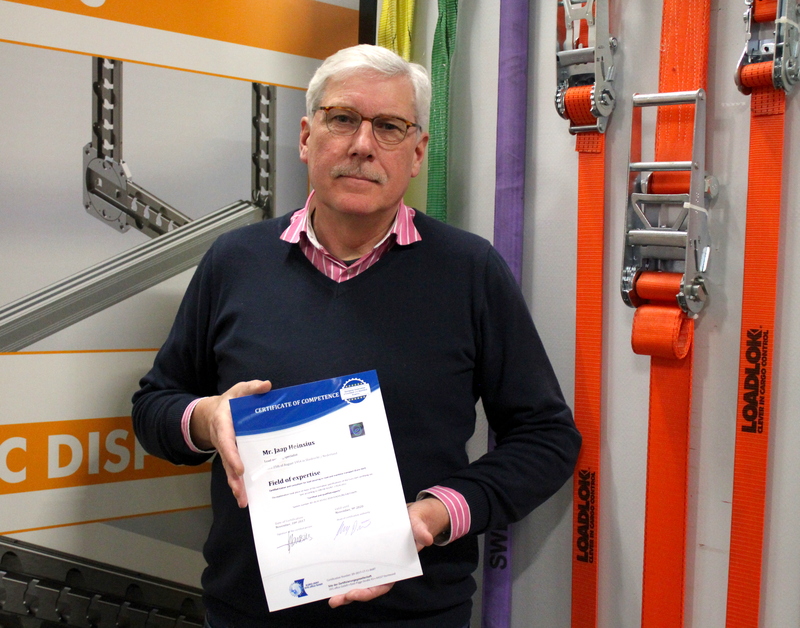 We are proud to announce that our employee Jaap Heinsius has been certified as Load securing Specialist, issued by the German SVG member of the European Association of Certified and Qualified Experts according to the DIN EN ISO/IEC norm 17024:2012. With this certification Jaap Heinsius can be active all over Europe to give training and consultations regarding the application of the guidelines and norms for load securing and packing. Besides Road Transport, also Intermodal-, Ferry- as well as Sea Transport by Container are addressed. All based on actual European Norms and Guidelines like the EN12195-2010, VDI 2700, EN 12640, EN12642, ISO1161, ISO 1496, EN283, EN12641, EUMOS 40511 and 40509, the IMO/ILO/UNECE code of Practice for Packing (CTU Code). In theory and practical cases the possibilities how to secure packaged goods, with liquid and solid materials, (also dangerous goods) unpacked goods, (machines, semi-finished constructions) special and project cargoes, are worked out. DO YOU NEED ADVICE IN COMPLEX LOAD SECURING ISSUES? Do you need a consult for a load securing plan according the EU norms, or would you like independent analyse of damages that have occurred. Jaap Heinsius can issue a report with a qualified stamp. He will also give training to our sales department to give them a deeper understanding of the problems our customers are facing. Contact your local subsidiary for more information regarding load securing advice.